Bob has maintained Chateau Ste. Michelle’s legacy of crafting awarding-winning Chardonnay, Riesling, Merlot and Cabernet Sauvignon, while putting his own signature on the wines. “I have learned from Ernst Loosen, our German winemaking partner on Eroica Riesling, how to protect fruit purity and produce fresh, fruit-driven Rieslings. Prior to joining Chateau Ste. Michelle, Bob made his mark at Hambrecht Vineyards and Wineries with their Belvedere and Bradford Mountain labels. In his formative years out of UC Davis, he gained valuable mentoring from such renowned winemakers as Bob Sessions at Hanzell Vineyards and David Ramey at Chalk Hill. Wanting to gain an even broader experience with a wide variety of grapes and viticulture areas, Bob also worked at Gallo of Sonoma for five years, helping to bring a smaller winery mentality to the larger facility. For Bob, the move to Chateau Ste. Michelle in 2003 was not only the chance to make wine for one of Washington’s most acclaimed wineries, it was a chance to come home. He was born in Seattle, went to school in nearby Idaho, and has most of his family living in the Seattle area. 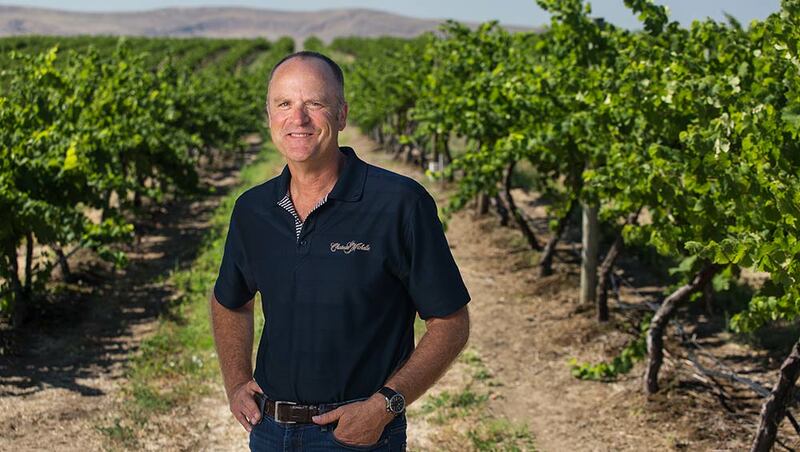 Bob has a degree in chemistry from Boise State University and an MS in food science and enology from University of California at Davis.